The first-ever CAA STEM Day, on June 12, will showcase the best of Columbia innovations, faculty, and ideas in science, technology, engineering, and mathematics from across schools and disciplines. The event will feature clips from Antarctic Edge: 70 Degrees South, a documentary following a team of world-class scientists, including Hugh Ducklow, professor of earth and environmental Sciences at Lamont-Doherty Earth Observatory, as they explore the fastest warming place on earth: the West Antarctic Peninsula. See Ducklow in person at the CAA's exclusive Explorers Club reception on June 21. The evening will feature a talk by Ducklow, as well as a private tour of the club and special musical performance by world-renowned cellist Borislav Strulev. If an outing to a ball game is more your style, meet us on June 17 at Citi Field for a recent alumni outing to watch the New York Mets take on the Atlanta Braves. As a recent Columbia alum, you get an exclusive deal on a game ticket and pre-game party at the park. West Coast Columbians can join us at the Columbia University Film Festival in Los Angeles the night before—a celebration of 29 years of showcasing Columbia School of the Arts students' amazing work. Buzzy is causing a buzz! 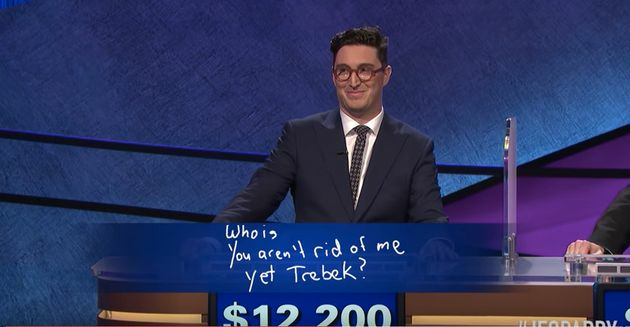 Buzzy Cohen, a 2007 graduate of Columbia College, is the reigning champion on Jeopardy! and is taking the internet by storm. Check out ABC News' video on the smart —and hilarious—alumnus. The Knight Foundation and Columbia have launched a First Amendment Institute. The $60 million effort will seek to preserve and expand First Amendment rights in the digital age through research and education, and by supporting litigation in favor of protecting freedom of expression and the press. Read the full story here. Have you heard about the Columbia Alumni Bookshelf? From informative books to help you study ahead of the 2016 presidential election, to guides on cooking and history, we went straight to the bookshelf to compile a list of can't-miss reads for the summer.